The following seminar will take place at 4:00 pm on Tuesday 16th April in the CSIRO Wine Innovation West upstairs seminar room. Among the extremely diverse array of molecular markers available, SNP markers are an effective and very popular choice for researchers of many plant species and crops. Amplifluor SNP markers are based on an Allele-specific PCR platform similar to KASP technology. Advantages of the Amplifluor system over KASP include the significantly lower costs and much greater flexibility in the adjustment and development of ‘self-designed’ dual fluorescently-labelled Universal probes and regular Gene-specific primers with ‘tags’ or ‘tails’. Amplifluor SNP markers are used successfully in polymorphism analysis of target genes and plant genotyping. Drought, dehydration and salinity tolerance are separate abiotic stresses, but they very often occur together or in succession. Hundreds of genes are responsive to these stresses, but Transcription factors (TFs) are the central players, regulating numerous down-stream genes. Even a small modulation in the expression of TFs can cause significant effects in plant tolerance to abiotic stresses. We studied two TFs from different groups, TaDREB5 and TaNFYC-A5, that showed very different responses to drought and dehydration in various wheats from Kazakhstan. In addition, we found that the transcriptional repressor, TaDr1, was co-expressed with two genes controlling the plant transition to reproductive stage and flowering time, TaVrn1 and TaFT1. In chickpea, the intercellular vesicle trafficking genes, CaRab-GTP, were found to be polymorphic among studied accessions. CaRabC was one of eight in this large gene family, and its level of expression was high in chickpea leaves exposed to salinity and rapid dehydration, but down-regulated under slowly-developing drought. In all cases, the Amplifluor SNP markers used cannot provide any direct knowledge regarding the structure or function of the target gene, but they do present a very useful practical tool for breeders and researchers to fast-track the development of crop varieties with superior traits and performance. Dr Yuri Shavrukov graduated from Novosibirsk State University (Russia) and received his PhD in 1991 from the Institute of Cytology and Genetics, Russian Academy of Sciences. His PhD thesis title was ‘Genetics and genes controlling inflorescence development in sugar beet’. Yuri was subsequently employed at the same Institute, where he combined his research with postgraduate teaching at Novosibirsk State University. In 1995 and 1998, Yuri received two Post-Doctoral Fellowships for 1.5 and 1 years at the Hokkaido National Agricultural Experiment Station and Hokkaido University (Japan), respectively. In 2012, Yuri was nominated by JSPS to undertake a Senior Research Fellowship in Japan involving one month of work at Okayama University. In all cases, he conducted research on projects under the general topic of ‘Genetics and molecular markers for various traits in crops’, which included abiotic stress tolerance. In 2001, Yuri was selected and employed by CSIRO Plant Industry in Adelaide for duration of 3 years, working on a project entitled ‘Genetics and genes controlling bunch architecture in grape’. Following that time, Yuri and his family moved to Australia. 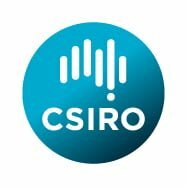 At the completion of his term at CSIRO, Yuri earned a position at the University of Adelaide, Plant Genomics Centre, working on a project targeting drought and salinity tolerance in wheat and barley under the supervision of Professors Peter Langridge and Mark Tester. In 2018, Yuri moved completely to Flinders University to take up an externally-funded position involving Collaborative research projects with Kazakhstan and South Africa. His research projects deal with plant genotyping and the characterization of genes for tolerance to drought and other abiotic stresses in crops, all under the supervision of Professor Kathleen Soole. Yuri has an H-factor of 13, more than 40 publications, and is actively publishing, especially in recent years.